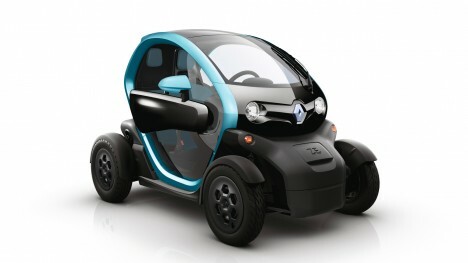 Bridging the almost-artificial divide between conventional quadricycles and lower-powered scooters, this micro-vehicle fits the legal system in France just right, allowing it to be driven by teenagers who are not allowed to pilot an ordinary car. Weighing 1,000 pounds and with a maximum speed of around 50 miles per hour, the idea was in part to provide a lighter-weight but ultimately street-safer alternative to bikes and mopeds for teens just learning to take the wheel. 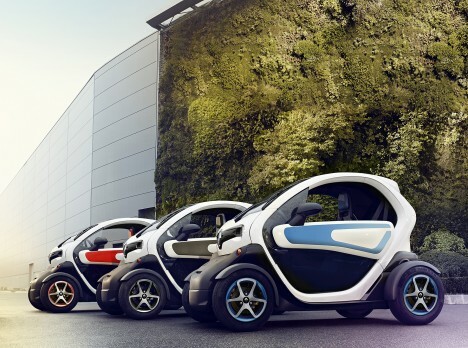 The version of the Renault Twizy teenagers can actually drive legally is a bit smaller than described above, modified to fit within French regulations regarding the maximum size, speed and capacity of a vehicle that can be used with just a road safety certificate. Assuming the design manages to leap the pond, it is unlikely to similarly allow younger driving in other places, but still has plenty of other advantages – at its size, it can fit into half-sized parking spaces, those extra zones you curse for not being big enough to fit your car in the city, and can even be parked perpendicular to the curb, squeezing it in just about anywhere. See more in Cars & Trucks or under Transportation. June, 2015.